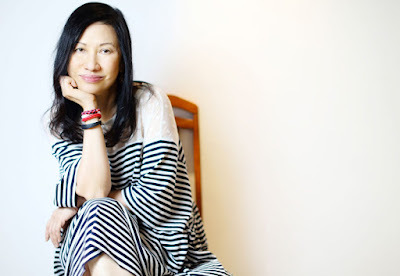 Charming and sophisticated are but two adjectives that come to mind even upon first meeting Rosalind Lim, founder and director of the Art Apart Fair that started in Singapore and is steadily expanding its reach into the international art scene. A communications professional with some 40 years of experience across a multitude of disciplines, Rosalind is quite hands-on when it comes to helping emerging artists have their works seen. Doing research, finding potential sponsors for promising artists, and networking with galleries in different countries is but a few of her skills. And she is quite the enthusiastic dancer. As the sixth edition of Art Apart Fair continues to gain steam, so too is her continuous immersion into the vibrant world of Philippine art, which will be front and center when the exhibit opens in July at the ParkRoyal on Pickering Singapore, a highly awarded 5-star eco hotel. Over lunch of her favorite Filipino dishes and halo-halo dessert in Manila, Rosalind shares her thoughts on Philippine art. Dexter Matilla: What was your first encounter with and therefore impression of Philippine art? Rosalind Lim: My first encounter with Filipino contemporary art was at the 2nd and 3rd editions of theArt Apart Fair where two exhibitors, Art Quartel and Utterly Art, exhibited artworks from the Philippines. I personally sold Filipino artworks that I saw were of high quality, using very detailed and precise painting techniques that could only be achieved with years of experience. Technique of brush strokes, choice of color to fit the theme and placement of content in relation to the composition of the story all play an important part in a piece of qualityartwork. DM: How has your experience of the art scene in Manila been? RL: I visited Manila three times in four months to research the art scene. I visited many art galleries and artist studios. I was also personally touched by the artworks I saw at ArtFair Philippines 2015 , Art in the Park 2015 and a few solo artist exhibitions, namely those of Ronald Ventura, Fernando Zobel and Abdulmari Imao. I also had the opportunity to view works by Filipino masters, mid-career and emerging artists such as Ben Cabrera, Ramon Orlina, Ronald Ventura, Aleah Rose Angeles, and Rodney Yap. These artists are all unique and each with their own distinct style. DM: What are you looking for in terms of quality in art? RL: Quality art work takes practice and effort. The motive of the message the artist wishes to convey consciously or unconsciously plays a part in composing a quality work of art. I believe a passionate, warm-hearted and soulful artist with lots of practice and the willingness to perfect his or her skills will produce great work that touches and communicates with the audience. Ultimately for the artist, the real beauty is in the creation of the art regardless of how others perceive the final finished work. If the artist truly loves what he or she is doing, there will be someone out there who will be touched by the work. DM: Having immersed yourself in Philippine art, how would you promote it to fellow collectors? RL: The Philippines is the only country in Asia with rich and deep rooted western influence having been colonized by both the Spanish and American. Being a part of Asia with Western roots allows Filipino artists to produce a fusion of Western artistic composition, content, design and technique coupled with the feel of the meticulous and exotic Eastern touch. Filipino artwork has heart and soul as the happiness and the sorrow of its people are expressed through the art form.